Treat yourself to a selection of curated experiences hosted by Jetwing Vil Uyana, designed to showcase the best of Sri Lanka’s cultural and natural wonders to the world with our signature touch of celebrated hospitality. Our home of Sri Lankan hospitality enjoys the luxurious benefit of being located near most of the UNESCO World Heritage Sites on our island – the closest of which is the legendary Sigiriya Rock Fortress. Built in the 5th Century, the monumental granite icon of Sri Lanka rises above the surrounding jungles with a veil of history and mystery. 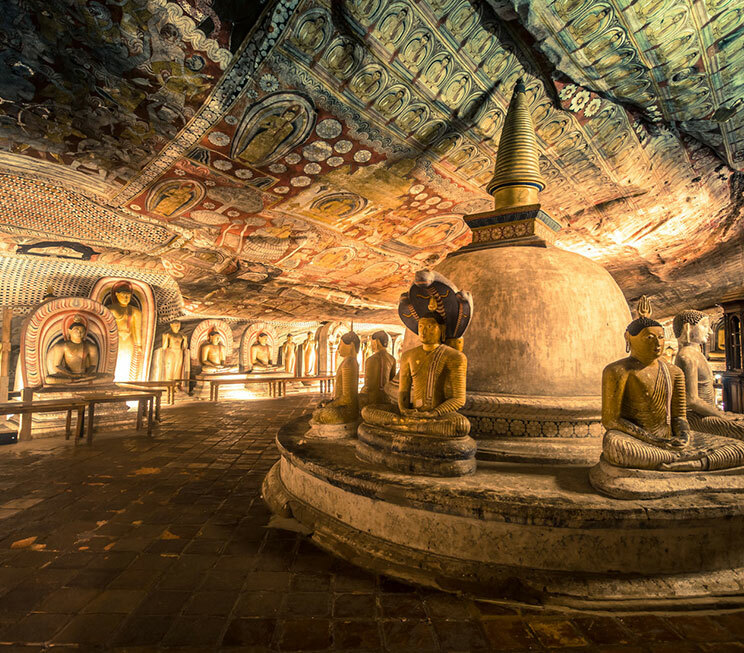 Just beyond, the Dambulla Cave Temple is regarded as one of the best-preserved temple complexes in the country, while the ancient civilisations of Anuradhapura and Polonnaruwa lie further north, with the last kingdom of Kandy is found south of our home. 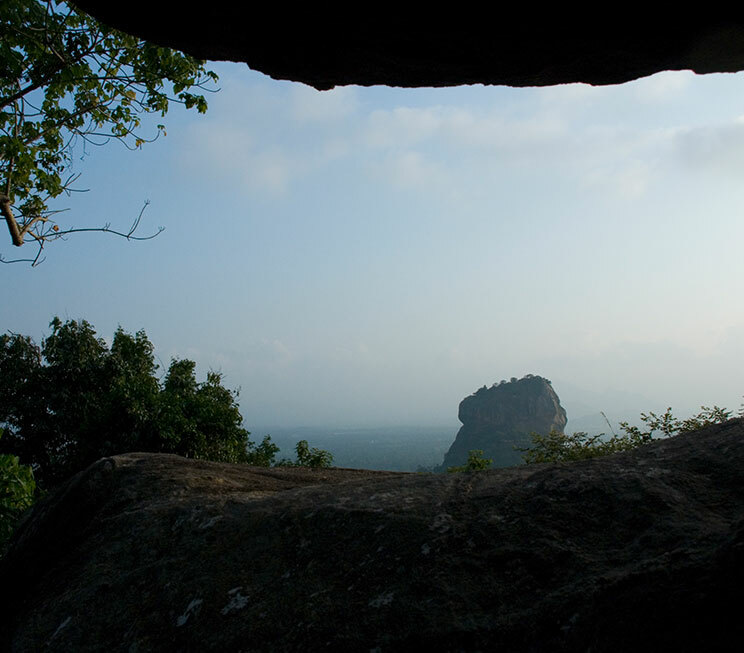 A notable mention is the Pidurangala Rock, which neighbours Sigiriya, and is an alternative climb that offers fantastic views of the historic fortress. As a resident of our famed Cultural Triangle, Jetwing Vil Uyana is not only at the heart of our Sri Lanka’s history, but also in the midst of our abounding wildlife. For instance, the Minneriya National Park located in our neighbouring region is known for The Gathering – a spectacular wildlife phenomenon that sees hundreds of elephants congregate in a single location. Towards the northwest, our oldest reserve at Wilpattu National Park is known for its endemic leopard population across the largest protected area in Sri Lanka, while the seas off our eastern coast are renowned for its resident population of dolphins and blue whales between March and September each year. 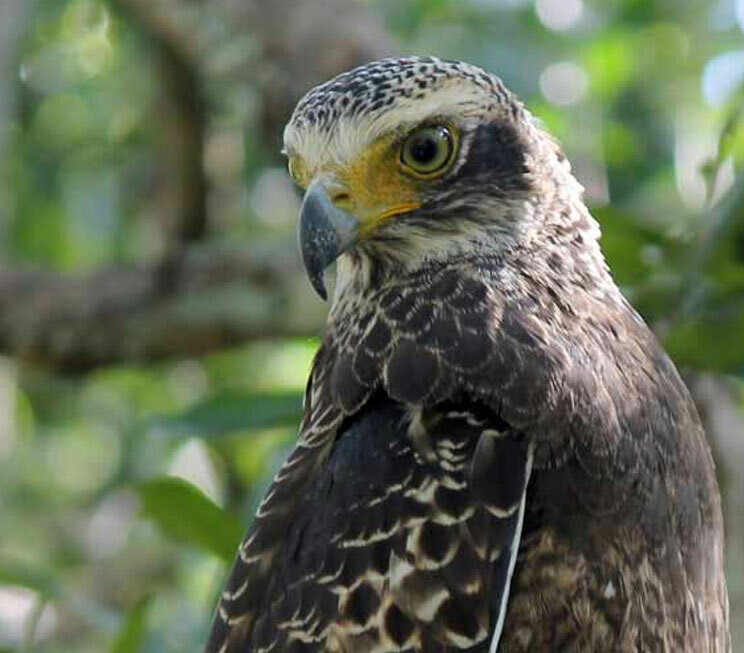 Closer to home, the Rangirigama Birding Trail is considered one of the best open aviaries in Sri Lanka with hundreds of endemic and migratory birds in the blue skies, while the habitats of Jetwing Vil Uyana themselves are home to an abundance of exotic flora and fauna such as the Fishing Cat. 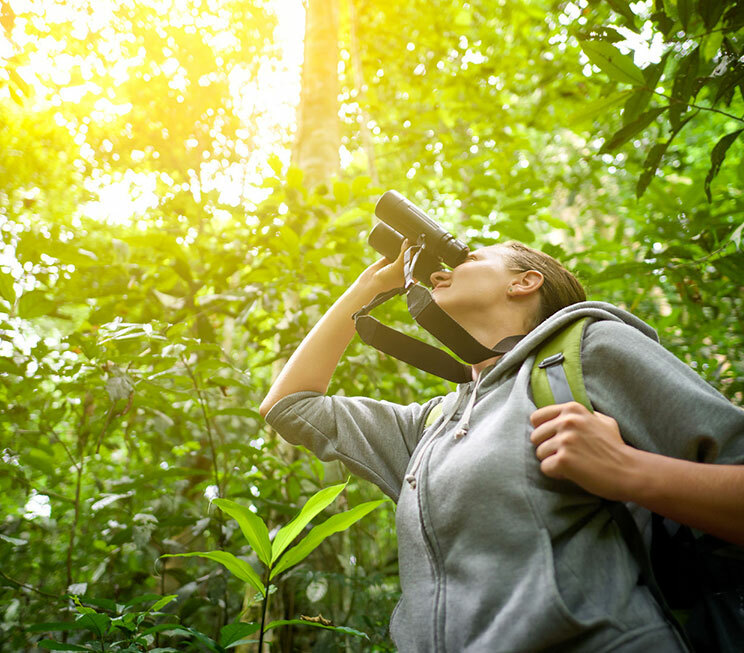 Accompanied by our resident environmentalist, you have the option of experiencing our on-site wildlife trail through our surrounding environments, on an adventurous nocturnal walk, or on the signature Loris Night Trail found nowhere else in Sri Lanka. 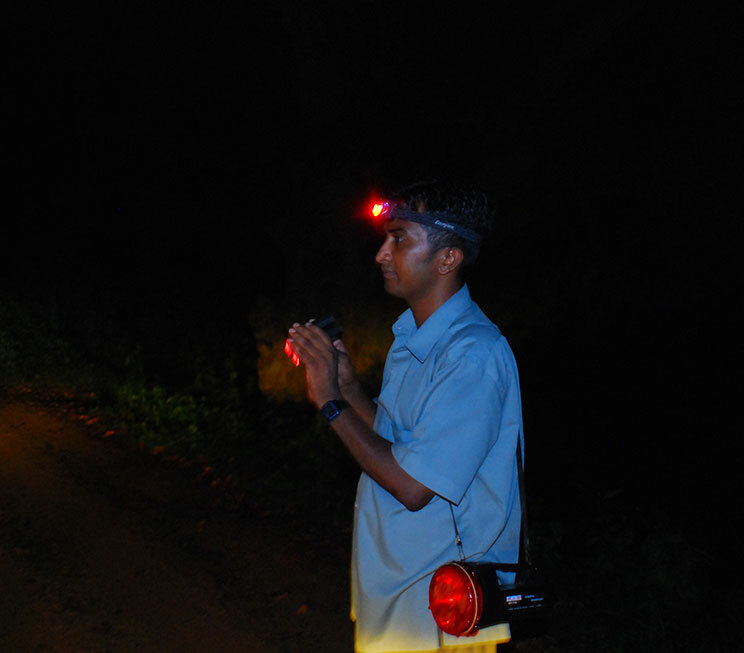 Armed with harmless red light emitting headlamps, our environmentalist will introduce you to the habitat of our resident nocturnal primate at the Loris Conservation Site under the night sky, helping you listen for its calls and understand its behaviour to spot the elusive mammal in an environment that is a sanctuary in itself. Join our resident naturalist on a moonlit search for the elusive primate. 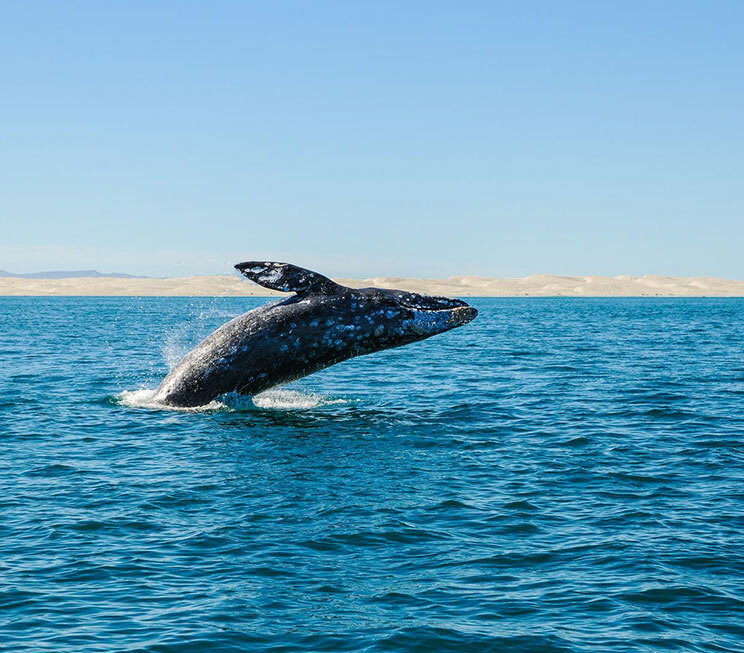 Spot over hundred species of wildlife in our exclusive ecosphere. Climb a 5th century rock fortress often regarded as an ancient world wonder. 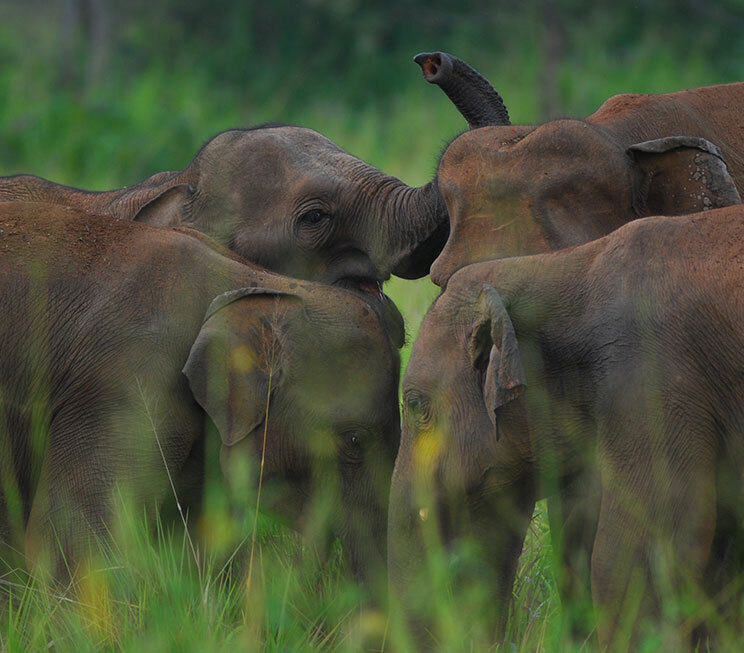 Watch hundreds of elephants congregate in one of Earth's greatest wildlife phenomenons. Wander the oldest and largest national park in Sri Lanka. 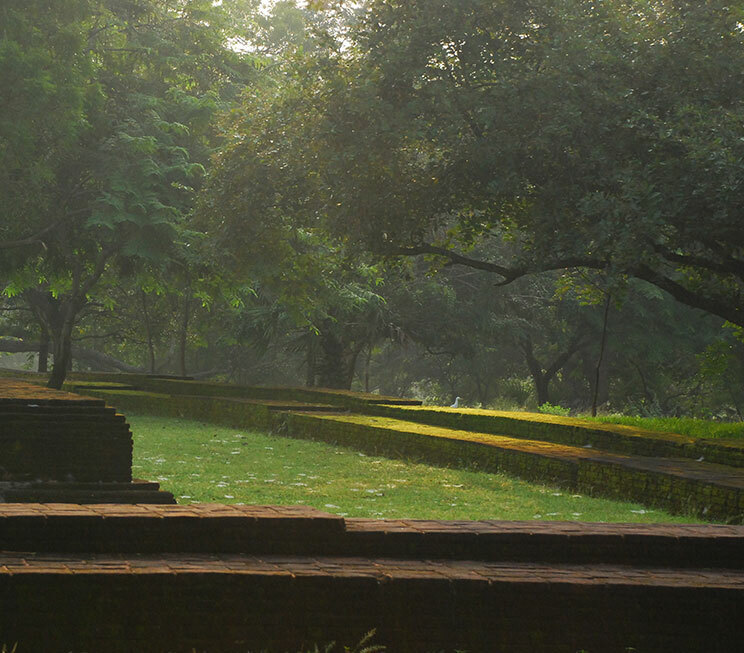 Step into a UNESCO World Heritage Site considered to be one of the best preserved temple complexes in Sri Lanka. 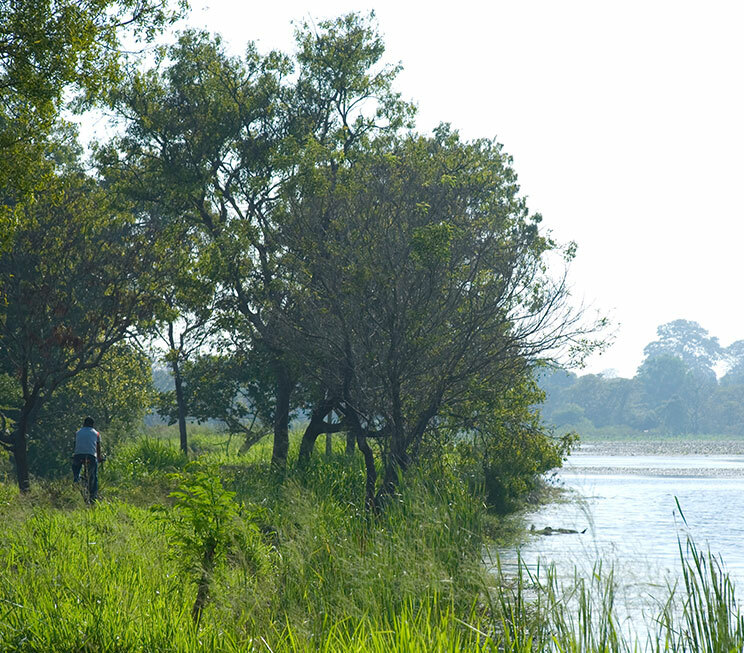 Observe hundreds of endemic and migratory birds in one of Sri Lanka's birdwatching hotspots. 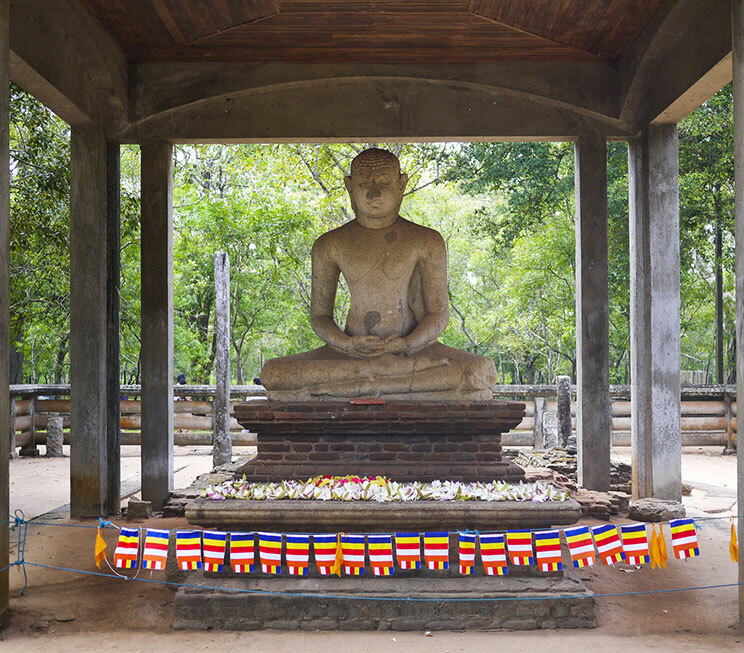 Visit the last royal capital of the island, home to the Temple of The Tooth - one of the most revered locations for Buddhists in Sri Lanka. Explore one of Sri Lanka's famed ancient capitals, also a UNESCO World Heritage Site for its well-preserved ruins of a bygone era. 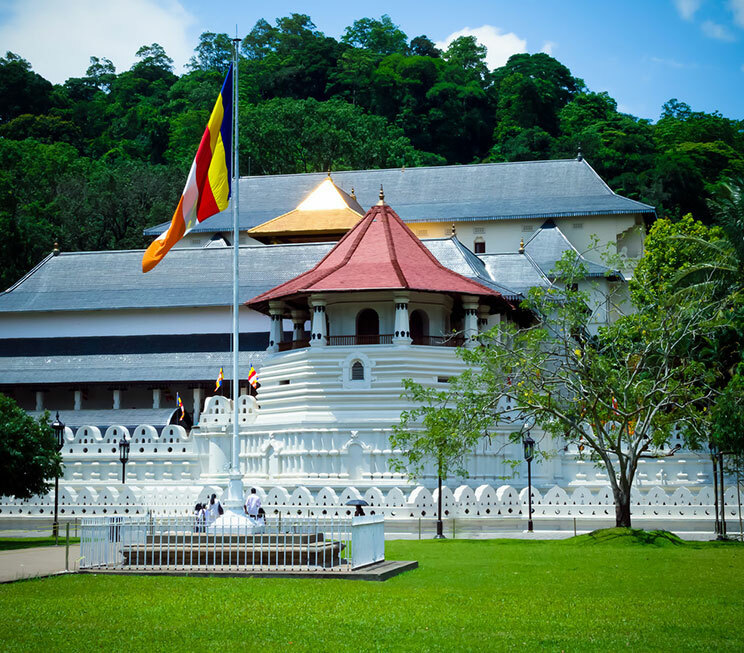 Discover another one of Sri Lanka's ancient capitals and UNESCO World Heritage Sites with royal artifacts of Sinhalese and South Indian culture. 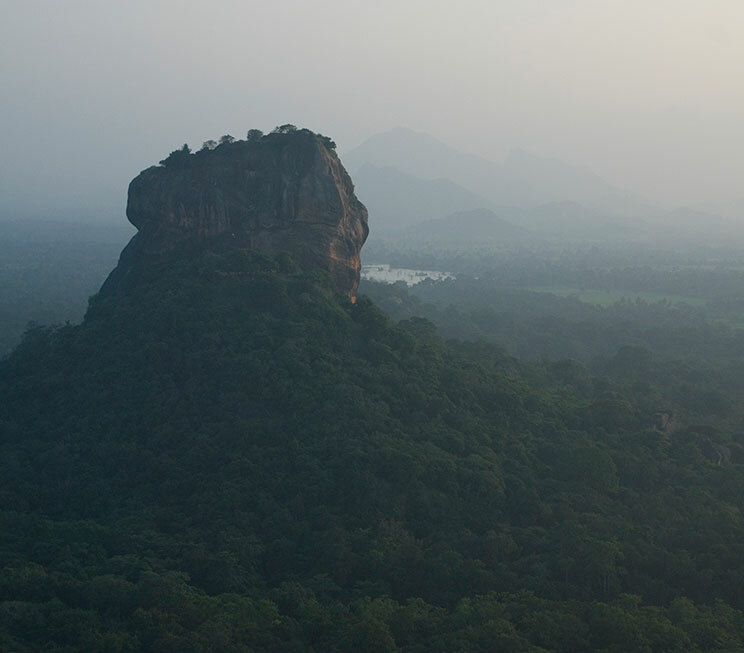 The overlooked neighbour of Sigiriya Rock, offering breathtaking views of the ancient fortress from its summit. Catch a glimpse of the largest animal on Earth from the north-eastern waters of Trincomalee.